The Best Children's Socks For Your Little Ones. Taking care of your baby's feet from the first days of life is essential. That's why choosing girls and boys socks is a really important activity. Our online store offers collections of boy's socks and girl's tights suitable for all ages and seasons. Children's Non-Slip Socks For The First Steps. Children grow up very quickly and need products and clothing that leave them free to experiment and move: from crawling to the first steps, our non-slip socks are the perfect product to help babies to keep their balance, protecting them from the cold floor. Online Sale of Girl's Socks: Take a look at our products. The range of girl's socks includes products for all ages and for any occasion. For example, we have baby tights and girl's tights in thermal cotton, perfect for the winter and available in various shades of colours and cheerful patterns. Baby and children's tights are essential and necessary garments in the wardrobe of every little woman. The Calzitaly collection also includes girl's socks perfect to be worn with both trousers and under skirts for a trendy and always fashionable look. In addition, girl's online leggings on sale, perfect garments at any age: practical, comfortable and versatile these garments can be worn either during afternoons of play or under a fluttering little dress for a special occasion. For the most fashionable girls and mothers who love to dress their little ones like true stars, Calzitaly also offers the exclusive line of girl's socks with rhinestones and glitter. Online Boy's Socks: What We Have To Offer. 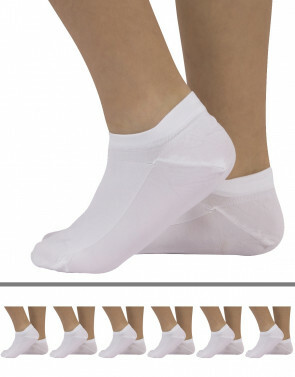 Boy's socks and ankle socks are essential products to accompany, step by step, your little one while he is growing. Both in winter and in summer, it is essential to protect your child's feet by wearing quality clothing, such as those offered by Calzitaly. Our catalogue is divided into different models, all characterized by the quality of the yarn, a 100% Made in Italy production and a particular attention to the patterns we offer, in line with the fashion trends of the moment.